What happens when you mix Tetris and a Rubik’s Cube into one puzzle game? You get the ultimate test of spatial thinking! Introducing AirCube, a new iOS puzzle app inspired by Rubik’s Cube and Tetris. AirCube serves as a tricky mind game where users have to flip a large cube as smaller cubes fall from above and create a perfect Rubik’s cube to reach the next level. With every level, the clock ticks faster and faster, and you must keep up and flip fast in order to win. 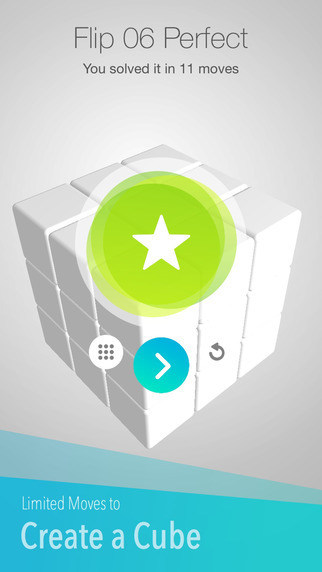 AirCube is an entertaining and intuitive app that is suitable for any age. The easy to understand, minimalist graphics and challenging levels make AirCube perfect for both children and adults. 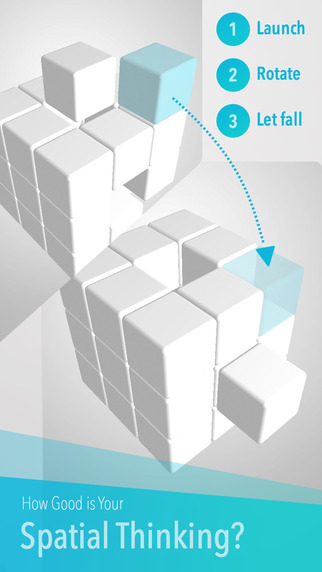 AirCube offers 60 challenging levels with limited moves to solve the puzzle each time. The puzzle game also offers exclusive levels for Apple Watch owners. Additionally, the game serves as a great stimulant to better develop spatial thinking and exercise your brain. With each challenging level, users will be forced to find new ways to solve the puzzle. AirCube is available now in the Apple Store. For more information on the game check out AirCube’s website or check out their demo videos!